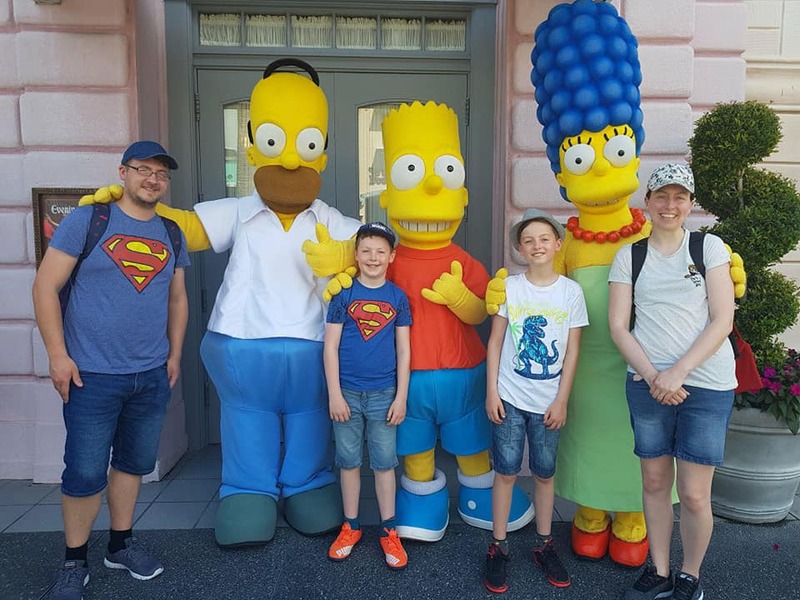 If you are planning a family trip to Universal Studios you should read on! We managed to do so much when we visited in May. I am one for making plans, basically everything from which rides I think the kids will enjoy to the times of the different shows! I find it saves time when you arrive. If you have sensitive kids don’t watch the Horror Make Up show as its quite graphic! It’s very entertaining so if your kids have the stomach for it give it a go! Just sit a little bit back as you might get a bit more than you bargained for if your too close to the front! Some things I only learnt when we finally visited. I want to share those little-known bits of information with you guys. You can actually do some extra tours that aren’t really advertised! We found out about them when we were queuing in line for the Universal’s Animal Actors show. By the way do make sure you watch that show. It was one of my treasured memories from a visit from my own childhood! Much of the jokes are the same but it really is hilarious to watch. I would say it’s the best show they have! It certainly captivated my boys too! The animals are so very talented. A member of staff was so informative and let us know about these behind the scene tours. Thanks to him we managed to do two surprise extras. We would have loved to have done the third but down to staffing issues that one isn’t so easy to get ticked off! When your queuing for this ride you might notice an area down below you with some props etc. Most of the time it was empty, so we didn’t think much about it. But you can ask to have a tour of the immigration room. You can take fun pictures with the aliens and sit at one of the desks and pretend to be an agent! It really is worth a visit. The guide was informative and friendly! You learn a lot about the previous presenters of The Tonight Show, but it was all very interesting. Even the boys didn’t get bored, which was a turn up for the books! Another highlight was bumping into Hashtag the Panda and getting a photo with him. Part of the tour you go outside and have a great view of Hollywood Rip Ride Rockit! The guide explained that the compass on the floor was the actual centre of Universal. I don’t know how accurate that is anymore as Universal Studios keeps growing! When the tour finished, he even put us back on the ride and gave us the choice where we wanted to sit! Which was a welcome bonus! We decided to sit in the very front row which was great as you felt like we were really in on the action. My main tip is to try and stay onsite to give yourself as much time as possible. We were happy meeting characters and really making the most of the park experience. I guess we had time to keep trying to do the secret tours because we stayed at the Universal Studios Portofino for a night. As a result, we had fast passes for two days so we did the rides with very minimal queues. Certain onsite hotels come with this perk! Not all of them so do check before booking. In my opinion it was well worth spending $384.00 just for those fast passes but we also got to spend a night in a really lovely hotel! It meant we managed to try out all the rides we wanted. We also got better seats for the shows as we were seated before the general queue. Staying at any of the Universal hotels you get early admission into the park, a whole hour to get stuck into certain rides before everyone else. But you do need to pay for your theme park tickets on top. We already had unlimited entrance for the duration of our two week visit for both Universal and Disney so that wasn’t an issue for us. You might also find my earlier post about tips to beat the crowds at Universal Studios and Disney helpful when planning your trip. Sounds like a lovely holiday, some great photos there, I love the one of you all with the Simpsons.